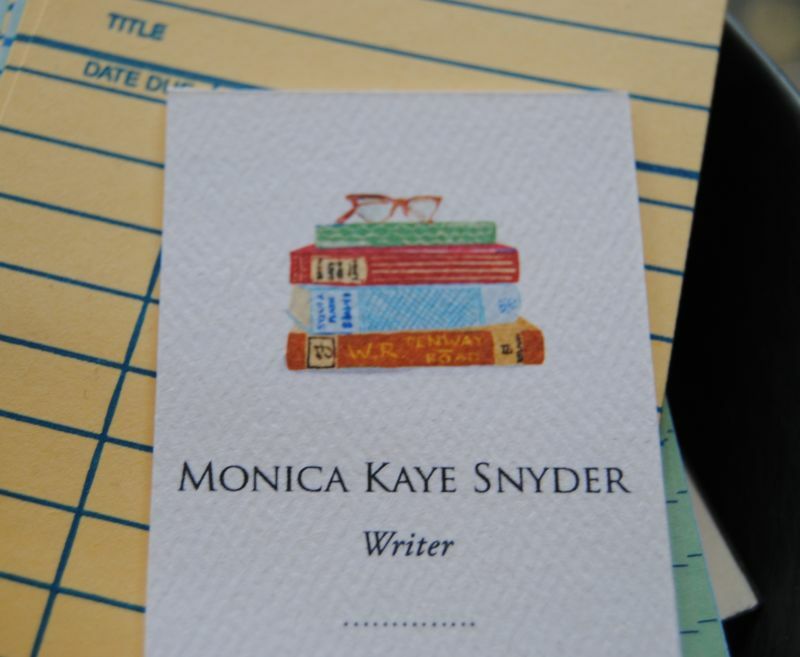 I had business cards printed in honor of launching this new place anticipating connections with people in the publishing world as I finish the book I am currently writing. I planned to order some “real” ones cohesive with my brand when this site went live. For the interim I had a sweet little design printed on beautiful card stock. They are perfectly me. If you didn’t already know, quality paper is like good thread count and great champagne. If you’ve never touched it, slept on it or drank it you’ll probably make it through life just fine, but once you have you’d pretty much sell your soul to make them yours. I always have a stack of books nearby and the red glasses are just smart, so I thought ordering fifty of these cards would give me something to hand out at Storyline. When it came to a title I was stumped. Who was I going to say I was? What is it that I do? Am I am blogger who wants to be a writer? What is the difference? Am I writer who wants to be an author? Are you only an author when something is published on good paper? When did all this become so confusing and the lines this blurred? Remember when you uncapped your Le pen in the coolest color and just let it slide across the smooth empty pages of your journal or notebook without any hesitation? There was no world wide web. We were not pushing “publish” on any and every thing pouring out of our minds and hearts. Our words were sacred, sincere and safe. We kept them like a treasure map back to our true selves knowing for sure we would need them again someday. At a young age we already felt the propensity to lose our way and betray our own confidence for false desires so we wrote like mad. She is nine, beloved, as open-faced as the sky and as self-contained. I have watched her grow. As recently as three or four years ago, she had a young child’s perfectly shallow receptiveness; she fitted into the world of time, it fitted into her, as thoughtlessly as sky fits its edges, or a river its banks. But as she has grown, her smile has widened with a touch of fear and her glance has taken on depth. Now she is aware of some of the losses you incur by being here–the extortionary rent you have to pay as long as you stay. Did I really want to pay soul currency to tell my story? I had this very real opportunity once. When it came time to sign my words over to someone I didn’t know or trust I ran fast and far away. I began a blog in 2008 to show my family the cute pictures I took of my girls and keep track of some daily gifts. I’d been through a wicked pregnancy and moved to Ohio from the Washington DC area not long after my Danica was born. I went from being Director of Marketing for a real estate development firm to writing SQL code in my pajamas day and night. In between changing diapers, doing flashcards with my five year old and crying (there was so much crying), I continued to write the whole truth free hand in my journals. Oh, and I may have kept a bottle of vodka in the freezer too. It was just for really hard days, I promise. I went from wearing beautiful suits and amazing shoes while carrying my Louis Vuitton bag into fabulous lunches at swanky spots like The Hay-Adams to a desolate place I never in a million years thought God would be so cruel to ask me to live again. The old blog is still published out there. I named it “Every Day Simple Abundance”. There were only two blogs I regularly read during this time. I followed my childhood friend Angie’s blog, Spring of Joy and this other little place where I met Jesus every day at the foot of the cross. A few of you may read there now. It was Ann Voskamp’s, A Holy Experience. It was small and quiet, tucked away on a farm in Canada, and I think just a few hundred in the whole world were faithful readers then. I like places like this. I’m suspicious of anything that grows too large. I don’t care for big crowds or lots of acquaintances who aren’t really friends, and I hate a bandwagon. I believed pure things are not for the masses and any road into the Kingdom of God has to be narrow with a tiny gate. “One Thousand Gifts” didn’t seem like a stretch to me. I began keeping a gratitude journal in 1999 when I read Sarah Ban Breathnach’s book “Simple Abundance” after seeing her on Oprah. Although I was far from God at this point of my life I will tell you the act of writing God’s common grace to me day after day was perhaps the single most important thing bringing me back to saving Grace. Some days I was just writing Maslow’s hierarchy of needs. Over and over again I was thankful for food, drink, shelter warmth and sleep. When I began to read Ann’s words regularly I know for sure it was God’s way of pouring truth back into my heart after years away from Him. It was in fact “revolutionary”. It turns out most of the world was craving this discipline of gratitude as much as I was. In 2009 when Danica was eighteen months old her neck went crooked. I continued to blog through some hard months of looking for relief for her pain and diagnosis, but I mostly hid. I sat at her door at night and pled the blood of Jesus over my daughter who would scream herself to sleep. In September 2009 we heard the word “Chiari” for the first time, and it changed our world forever. It wasn’t until after her first brain surgery in November 2009 failed we knew we were facing not just a battle but an all out war. I began writing at danicajean.blogspot.com, also known as teamdanica.com. I have faithfully written there for over four years. I’ve paid some high rent as I bore my soul to anyone who would read. Many began to find my little blogger spot because themselves or their son or daughter were told they had Chiari too. As our story unfolded I was diagnosed as well and years of physical pain began to make sense. People cried with us, prayed for us, gave to us and carried us through a long dark tunnel of cruel suffering. I am seeing some kind of light at the end of a tunnel. I am ready to talk about the gift more than the gauntlet. This is why I needed a new place to write. It will be different. I will still write about our life and the health challenges I mention in my biography, but I will give you glimpses into the windows of what has sustained me during this journey. There will be beautiful words, music, poetry, good books, great stories about other overcomers, and gifts. I mean the real kind too; care packages from the best friend you always wanted. I’ve decided I’m a blogger, a writer and an author now. I hope you’ll sit on my comfy sofa in a patch of sunshine and make yourself more than my acquaintance. I have changed my mind about how big God is and the way He uses the small, weak things of this world to grow His kingdom. I’ve seen a camel pass through the eye of a needle. I know for sure the gifts are there even when we can’t quite make out the shape of them yet. He’s answering the prayers, even shoving them in our face if we would only SEE. Open your eyes with me. Walk along side me. I feel a light. Let’s head that way together. Goodbye. The Last Post on Team Danica. Period. Posted at danicajean.blogspot.com on November 4th, 2014. I’m home a week and a few days now from my eighteenth surgery. Neck wounds and heart wounds seem inseparable. My surgery was a success. My shoulder that was drooping several inches is higher. I have feeling back in my left arm and hand. I have not had one piercing headache or loss of vision since. All this points to the wisdom of the levels fused and how their instability was causing my symptoms. At the end of the day the protractor and the scans tell the truth most of the time. The rest is God working through a gifted man’s hands. I also felt very sure I needed to take the place offered on my surgeon’s schedule. I wanted to wait, but my gut told me I shouldn’t delay. I am grateful in a way words stop being useful. I’ve been scolded for the wrong words, too many words, not enough words, and it tears away little pieces of what I’ve always tried to do here. Only God knows my heart, and I trust Him with it as I pray over posts and write and delete while I hold back not what I’m afraid of saying but rather what you might not be brave enough to read. This makes me an immature writer. I care too much. I hedge for one the truth ninety-nine need to hear. I think I’m growing into a different kind of brave. Only time will tell. Mixed in all this neurosurgery stuff there was a catalyst pushing me towards something I believe God really wants me to do. Of course it has to do with writing. In the past few months He has been using clear sign posts of providence to push me in uncomfortable places making sure I get the point. The fork in the road doesn’t give me two paths. I don’t mean I hear voices from the sky or see writing on the wall. What I do mean is I have been on my knees drawing circles around a call. I have been committing to Him and begging for Him to direct my paths, and He started to answer by making only one path appear. Just one path. And I began the hard work. Here’s the thing. I truly needed to be more well, to have my arms and hands working, my head clear enough and in just a little less pain so I wouldn’t medicate away any clarity I needed for this daunting job. Earlier this year I begged God for a spiritual retreat here in Ohio with some like-minded women who are also writers. Most of them are not published authors. They are women who share their faith day to day on personal blogs. Their desire for God to REFINE the very motives of their hearts in every word they share out on this almost infinite web space is what made me believe I was to attend this weekend of worship. Oh, and my Christa Wells was there. (I call her “mine” because her music has soothed my soul through the darkest days of my life.) I had scrimped and saved. I registered. I paid extra to have a room alone fearing mast cell reactions and anticipating needing more breaks. I had even decided I would drive myself. Salt Fork Lodge is not that far, a straight shot, and I wanted this so badly. Instead, I became very sick the week before the retreat. I ended up in Maryland for plasmapheresis and the beginning of IVIG in twelve of the most refining days ever, most of which I spent in solitude. I was very alone. I was tremendously sad, but I was really too sick to doubt there was some kind of cosmic mix up. I was given a chance for a treatment most could only beg for. Another woman who wouldn’t have been able to attend the retreat took my place, and I felt good about this, even grateful. It was the trip last week that didn’t happen that crushed me. I had this opportunity to travel to Chicago and piece together the Storyline God’s been writing in my life but also to intimately learn from authors I greatly admire about their own journeys to publication. This was huge. I was sure God meant for the asking and receiving. I haven’t wanted anything so badly in a very long time. God said “Yes” to something I had prayed about and desperately wanted for almost a year. I couldn’t pay for this, especially in light of my new surgery, but it was being offered to me. A gift. There’s no way to write a better intro to the back story of how God worked to make my book a reality, right? Storyline was Wednesday through Saturday, exactly a week to the day from when I had my eighteenth surgery scheduled in Maryland, but I was confident I would push through and make it there. God didn’t get this wrong. I was going to do both. More than this I would have had time to spend with a woman who visited me on the worst day of my above mentioned hospitalization in the spring, A beautiful spirit who came in with her classic khaki trench and blue peep toe TOMS and didn’t even flinch to see the mess I was. She had been reading Team Danica for a while. Her own daughter has had a Chiari decompression. 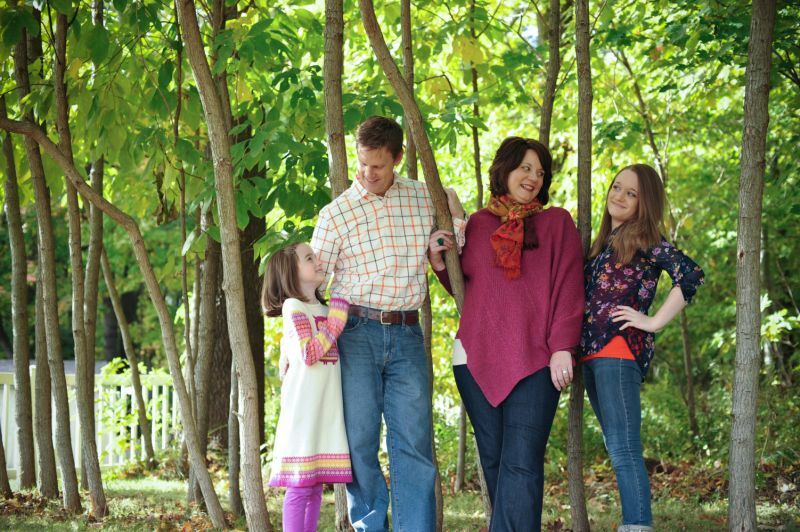 She and her other daughter suffer from EDS as well and all that goes along with our disease. She told me as she dropped on her knees on that filthy hospital room floor I had to write. I wanted to quit it ALL that day, and she came in her own pain and told me straight up God had something I needed to do. This thing we live has a way of making fast friends, tight friends and forever friends. She lives in Chicago and just about as much as I wanted Storyline I wanted time with this friend. I could have told Dr. Henderson when I saw him on Monday I just needed to wait for this surgery, because I told God “Yes” to this other thing. I didn’t. I was in enough pain and felt urgency in my gut to take this time he’d planned for me on Wednesday. While I was leaving the office that day I ran into a woman I met in the spring as well. It was a “God wink”. If you don’t believe our times are really ordered by minutes and hours ask me about this woman. She remembered me. We spoke briefly waiting for her daughter to be wheeled out in her chair before having another seizure. We spoke quickly of faith and trust in the exact same good God. What this woman does and the life she leads put everything in perspective for me. It also reminded me why this book I’m writing matters. I still thought the Chicago trip would happen after I came out of the operating room. I’m one of those super positive, very awake and ridiculously unaware of initial pain people following anesthesia. I think it’s because they have to give me so much to get me and keep me under. My EDS makes me metabolize medication so no amount of drugs is really enough. I know this has saved my life a time or two in a different kind of way. The two thumbs up thing is probably annoying to anyone else around me in the recovery room. I learned it from my brave Danica and keep the tradition alive. It only became clear a few days after my surgery how much harder it was on me than I expected. For some reason the anterior cut, the swelling in my neck and in my throat and a strange spiritual and emotional pain pushed me into a final realization. I canceled my flight, my hotel and called my friend. Storyline was a real “No”. This will be the last post on Team Danica. I’ve tried to do this before and the timing was not right. Because of my own health issues along with a web developer that didn’t see my vision, and a real sentimentality about our little blogger home here I kept updating but most of the writing has been going on in another place. In a few days a new website will be launched. Please forgive me for the first month as I cringe while I try to get the word out in repetition. This is way out of my comfort zone. I hope you will come over, because I know for sure God’s not done with me yet. The new website will be fundamentally different and more fun than just telling stories. I think you’ll love it. Some of Team Danica’s posts will be edited and used in part in publication and the rest saved as a beautiful story of God’s Grace and goodness to my family and I and infinite love from all of you. You have humbled me and blessed me by walking along side us here. Thank you. I will end with a long passage I began with on this blogging journey over four years ago. It is from Shauna Niequist and her Cold Tangerines. I would have been her guest at Storyline last week. Her words are woven in the fabric of our story. Please read them and read them again. Team Danica is like the story of God and your story is too. There’s something past the pain and suffering, and it’s blessing. It’s all blessing. It’s always Grace. When you realize that the story of your life could be told a thousand different ways, that you could tell it over and over as a tragedy, but you choose to call it epic, that’s when you start to learn what celebration is. When you see in front of you is so far outside of what you dreamed, but you have the belief, the boldness, the courage to call it beautiful instead of calling it wrong, that’s celebration. When you can invest yourself deeply and unremittingly in the life that surrounds you instead of declaring yourself out of the game once and for all, because what’s happened to you is too bad, too deep, too ugly for anyone to expect you to move on from, that’s that good, rich place. That’s the place where the things that looked for all intents and purposes like curses start to stand up and shimmer and dance, and you realize with a gasp that they may have been blessings all along. Or maybe not. Maybe they were curses, in fact, but the force of your belief and your hope and your desperate love for life as it is actually unfolding, has brought a blessing from a curse, like water from a stone, like life from a tomb,like the actual story of God over and over. I would never try to tell you that every bad thing is a really good thing, just waiting to be gazed at with pretty new eyes, just waiting to be shined up and- ta-da!……..there is something just past the heartbreak, just past the curse, just past the despair, and that thing is beautiful. You don’t want it to be beautiful, at first. You want to stay in the pain and blackness because it feels familiar, and because you’re not done feeling victimized and smashed up. But one day you’ll wake up surprised and humbled staring at something you thought for sure was a curse and has revealed itself to be a blessing-a beautiful, delicate blessing. Please note: http://www.teamdanica.com is already a dead site. You will no longer be able to access any old posts there. http://www.danicajean.blogspot.com will remain live for a little while longer.